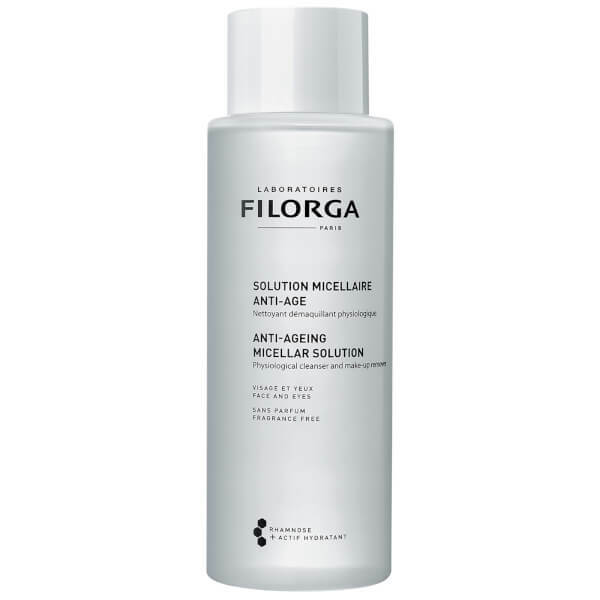 Discover superior cleansing with the Filorga Anti-Ageing Micellar Cleansing Solution; an effective 2-in-1 cleanser and makeup remover. By simply applying to a cotton pad and sweeping over the face, the innovative formula effortlessly melts away makeup, daily dirt and oil without stinging the delicate eye area. Working in seconds, the gentle yet effective liquid not only removes makeup, but hydrates and soothes the complexion, while pore-plumping ingredients ensure the face feels clean, clear and refreshed. 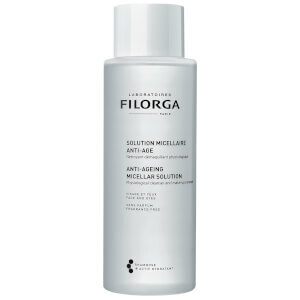 Expect skin that is thoroughly cleansed and comfortable, without redness or tightness. Free from Parabens. Fragrance free. Suitable for Vegetarians. Aqua (Water), Propanediol, Sodium Citrate, Trehalose, Disodium EDTA, PEG-6 Caprylic/Capric Glycerides, Zinc Pca, Cetrimonium Bromide, Citric Acid, Rhamnose, Glucose, Glucuronic Acid.